NBA basketball returned to the Twin Cities in 1989 for the first time since the Minneapolis Lakers departed for Los Angeles in 1960. The NBA had granted one of its four new expansion teams on April 22, 1987 (the others being the Orlando Magic, Charlotte Hornets, and the Miami Heat) to original owners Marv Wolfenson and Harvey Ratner to begin play for the 1989 – 1990 season. There were two American Basketball Association franchises, the Minnesota Muskies, in 1967–68, and the Minnesota Pipers, in 1968–69. The franchise conducted a “name the team” contest and eventually selected two finalists, “Timberwolves” and “Polars”, in December 1986. The team then asked the 842 city councils in Minnesota to select the winner and “Timberwolves” prevailed by nearly 2 to 1. The team was officially named the “Minnesota Timberwolves” on January 23, 1987. Minnesota is home to the largest population of timberwolves in the lower 48 states. The Timberwolves originally built and owned the Target Center arena in 1990 and the venue was managed by Ogden Entertainment. The City of Minneapolis purchased the arena in 1995. In 2004, Target Center underwent a major renovation that saw the replacement of all 19,006 of its original seats plus the addition of nearly 1,500 new seats as well as the reconfiguration of the lower bowl to make the arena more fan-friendly. In addition the arena’s original scoreboard was replaced with a new state-of-the-art 9-by-16 foot video screen and state-of-the-art LED signage, LED signage on the upper deck fascia, a new luxury lounge (Club Cambria) and improved access for fans with disabilities. 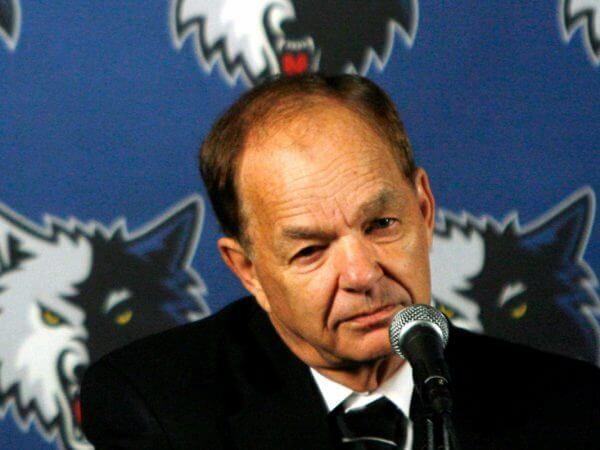 Glen Taylor purchased majority ownership of the Minnesota Timberwolves basketball team in 1994. Taylor purchased the Minnesota Lynx WNBA basketball team in 1999. Taylor was in talks to buy the Minnesota Twins but nothing has come of it. In 2005, he was also rumored to be a possible buyer for the Minnesota Vikings, but was outbid by Zygi Wilf. He is currently the chairman of the Board of Governors for the NBA. Before Donald Sterling, Glen Taylor was the only NBA owner to be suspended for more than a couple of games. In 2000, he was banned for nearly a year for signing Joe Smith to a secret contract in violation of the league’s salary cap rules (Washington Express, P15 April 30, 2014). In a press conference on April 17, 2008, Love announced his intention to leave UCLA to enter the 2008 NBA draft. He was taken fifth overall by the Memphis Grizzlies, immediately after his teammate at UCLA, Russell Westbrook, who was selected by the Seattle SuperSonics. Following the draft, Love was traded, along with Mike Miller, Brian Cardinal, and Jason Collins to the Minnesota Timberwolves, with the third overall pick O. J. Mayo, Antoine Walker, Marko Jarić and Greg Buckner going to the Grizzlies. 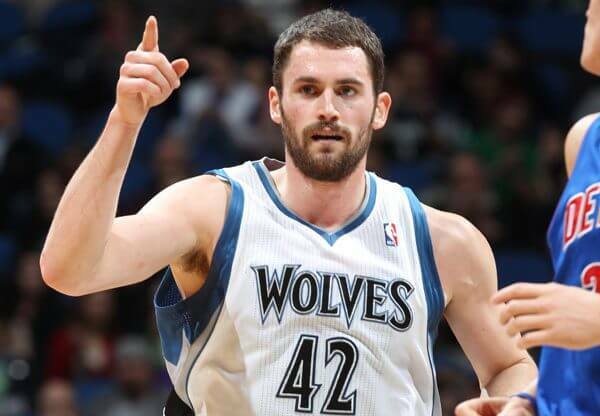 On August 23, 2014, the Timberwolves traded Love to the Cleveland Cavaliers in a three-team trade. 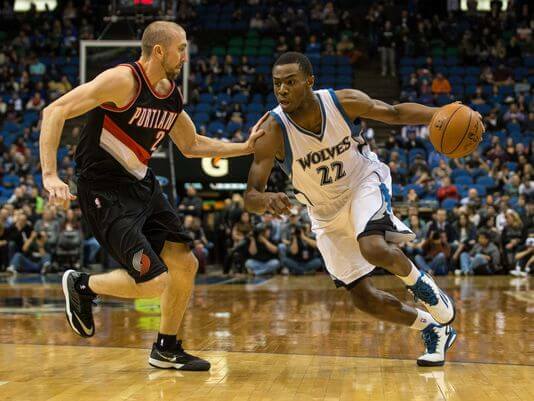 The Timberwolves received Andrew Wiggins and Anthony Bennett from Cleveland, and Thaddeus Young from the Philadelphia 76ers, while the Philadelphia 76ers received Luc Mbah a Moute and Alexey Shved from Minnesota and a 2015 first-round draft pick from Cleveland. The Minnesota Timberwolves are an American professional basketball team based in Minneapolis, Minnesota. The Timberwolves compete in the National Basketball Association (NBA), as a member club of the league’s Western Conference Northwest Division. Founded in 1989, the team is owned by Glen Taylor. 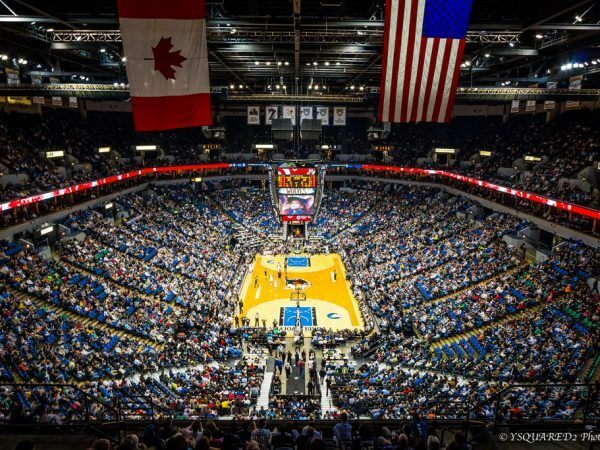 The Timberwolves play their home games at Target Center, their home since 1990. Like most expansion teams, the Timberwolves struggled in their early years, but after the acquisition of Kevin Garnett in the 1995 NBA draft, the team qualified for the playoffs eight consecutive times from 1997 to 2004. Despite losing in the first round in their first seven attempts, the Timberwolves won their first division title in 2004 and advanced to the Western Conference Finals. Garnett was also named the NBA Most Valuable Player Award for that season. The team has been in rebuilding mode for the past decade since missing the playoffs in 2005, and trading Garnett to the Boston Celtics in 2007. Garnett returned to the Timberwolves in a February 2015 trade and finished his career there, retiring in the 2016 offseason. Timberwolves – The franchise conducted a “name the team” contest and eventually selected two finalists, “Timberwolves” and “Polars”, in December 1986. The team then asked the 842 city councils in Minnesota to select the winner and “Timberwolves” prevailed by nearly 2 to 1. The team was officially named the “Minnesota Timberwolves” on January 23, 1987.
Who is the greatest Minnesota Timberwolves? The Minnesota Timberwolves are an American professional basketball team based in Minneapolis, Minnesota.